The race for this year’s Midwest League batting title is getting close. West Michigan Whitecaps infielder Will Maddox has been hitting for a high batting average all season. 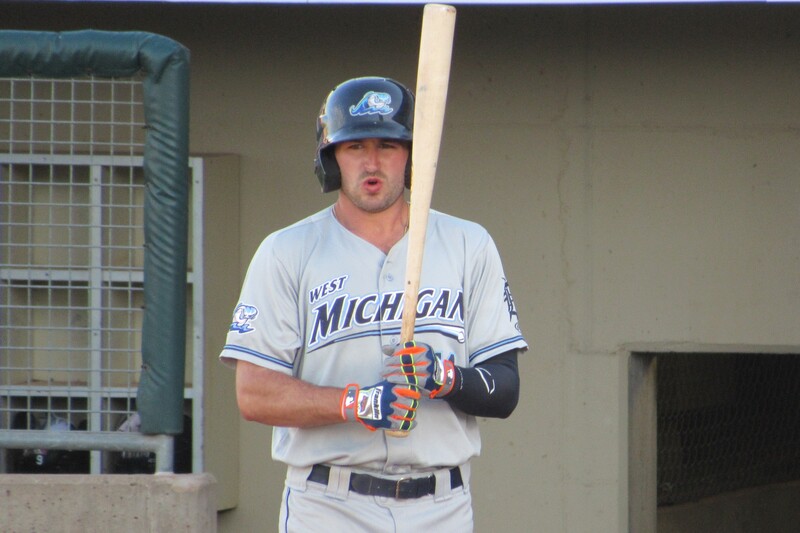 He was batting .404 through his first 12 games when he was named the Midwest League offensive player of the week for April 18-24; .342 through 48 games (when he was named to the MWL All-Star Game); and .355 after West Michigan’s 9-9 tie game with the Peoria Chiefs on July 22. He currently has a MWL-best .349 batting average after going 2-for-3 in Tuesday’s game, his 97th of the season. South Bend Cubs outfielder Eloy Jimenez currently has a nine-game hitting streak, which has brought him close to Maddox’s mark. He is 20-for-34 during the streak, increasing his batting average by 25 points up to .347 (through 95 games). The reigning Midwest League offensive player of the week is now just two percentage points behind Maddox in the race for the MWL batting crown. Cedar Rapids Kernels second baseman Luis Arraez ranks third in batting average with a .335 mark in 86 games. His average increased nine percentage points after he went 5-for-5 against the Burlington Bees on Tuesday. 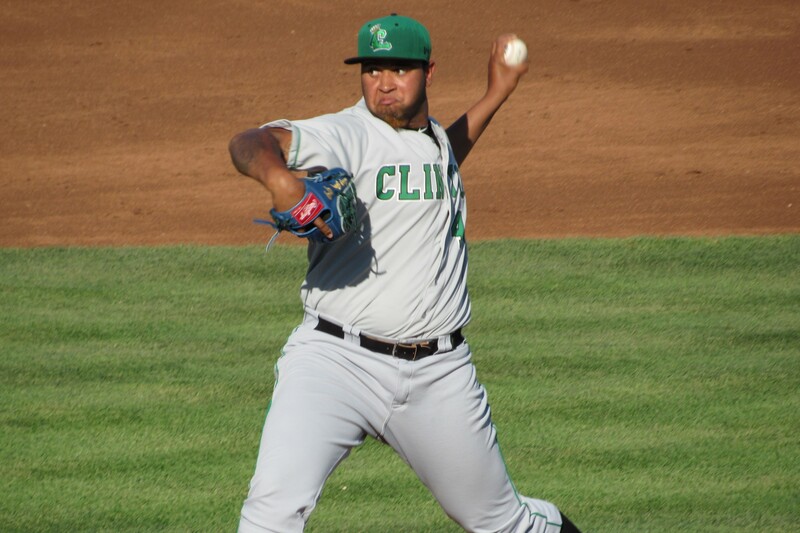 The Kane County Cougars won a pitchers’ duel Tuesday despite being held to only two hits by the Clinton LumberKings. The Cougars scored the game’s only run in the bottom of the 4th inning, when they cashed in on the back-to-back singles by Trevor Mitsui and Stryker Trahan that started the frame. The runners moved up on a sacrifice bunt by Joey Armstrong before one scored on a groundout by Fernery Ozuna. RHP Max Duval picked up the win (his first in the Midwest League) after scattering seven hits over seven scoreless innings. He struck out five and walked none. LHP Luiz Gohara took the loss despite giving up only one run on two hits and three walks in seven innings. He struck out five batters. This entry was posted in 2016 All-Star Game, Burlington Bees, Cedar Rapids Kernels, Clinton LumberKings, Kane County Cougars, Midwest League, Peoria Chiefs, South Bend Silver Hawks, West Michigan Whitecaps. Bookmark the permalink.